Mark Lincicome earned his MA and Ph.D. degrees from the Department of East Asian Languages and Civilizations at the University of Chicago. Before joining KCJS as director of the Kyoto office in 2015, he was a tenured member of the Department of History and the Asian Studies Program at the College of the Holy Cross, in Worcester, Massachusetts for 25 years. His earlier work experience also includes service as Associate Director of the Asian Studies Program at the University of Pittsburgh, and as Executive Director of the Japan America Society of Chicago. Professor Lincicome is the author of two books on the history of educational thought, politics and policy in modern Japan, as well as journal articles and book chapters on topics ranging from education, to identity formation, to globalization. 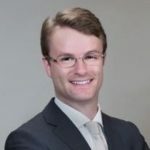 His current research project is a comparative study of the development of Japanese and Australian conceptions of “Asia” and their relationship to “Asia” between the mid-nineteenth and mid-twentieth centuries. Adam Lyons received his Ph.D. in Religion from Harvard University in 2017. His first book project focuses on prison chaplaincy in Japan from the late nineteenth century to the present day, and it is the result of more than two years of archival research and fieldwork inside the Japanese prison system. His book manuscript, Karma and Punishment: Prison Chaplaincy in Japan, is in preparation for publication. Several essays based on this research have already appeared in Japanese publications, and Lyons has presented his research at many national and international conferences, including meetings of the American Academy of Religion, the Association of Asian Studies, the Japanese Association of Religion Studies, and the Japanese Association for the Study of Religion and Society. Lyons’ research on prison chaplaincy traces the history of the Pure Land Buddhist practice of remonstrating with prisoners to elicit “change of heart” by analyzing the development of an elaborate body of chaplaincy doctrines in light of broader political currents in religion-state relations. The object of doctrinal admonitions has shifted over time: hidden Christians in the early 1870s, Marxists and other “thought criminals” in the prewar Shōwa period, and women in a Tokyo Jail sutra copying class in 2016. Throughout these changes, sect leaders have continuously sought to negotiate their social role by asserting their authority over the inner world of beliefs, conscience, and soteriological aspirations. In the prison system, religion has been subject to state management as a means of public benefit. Thus, chaplains have been expected to harmonize the private realm of conscience with the priorities of the public authorities so as to aid in the work of correctional rehabilitation. However, historical accounts and interviews with chaplains reveal that those tasked with this work frequently encounter mitigating circumstances and problems of suffering that require them to think and act beyond the bounds of the rigidly statist official theology. The heart of this research project is to explore the tensions between the official discourse and the actual experience and practice of the chaplaincy to see how negotiations between religion and state are reflected in the lives of people who are beholden to both state and sect authorities. Lyons is also working on a project dealing with the history of the Japanese new religious movement Tenrikyō. This second project builds on archival research and fieldwork conducted with Tenrikyō churches during dissertation research. This work continues the focus on the relationship between doctrine and politics as seen from the perspective of individuals. 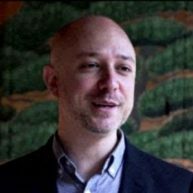 Patrick Strefford is an Associate Professor of International Relations at Kyoto Sangyo University. He earned his BA at Hull University, his MA at Leeds University, and his PhD at Kobe University. At Kyoto Sangyo University, Dr. Strefford teaches course on International Relations, International Development and the Theory of Knowledge. His research focuses on Myanmar’s foreign relations, particularly aid donors’ policies and practices towards Myanmar. Dr. Strefford has recently published articles on Japanese diplomacy towards Myanmar, Myanmar’s transition and the international ODA regime, and on capacity development in Myanmar, among others. From 2013 to 2016, Dr. Strefford was the Principal Researcher on a Japan Society for the Promotion of Sciences grant to support research into international aid to support the transition in Myanmar, focusing on donor assistance to capacity building in the public sector. Douglas Woodruff first came to Japan in 1966 with his family and traveled throughout the country. He returned to Japan in 1972 to spend his junior year in college at Doshisha University, and after completing his B.A. degree at Oberlin, he has lived in Kyoto ever since. Douglas apprenticed as a carpenter at Hasegawa Kobo from 1976-78, established an independent workshop in northern Kyoto prefecture in 1979, and at the same time began a partnership with the architectural firm Atelier Ryo that is still ongoing. From that year as well, he has undertaken woodworking commissions from private patrons in prefectures across Japan and in France, Hawaii, and Canada to disassemble, relocate, reassemble, and renovate country farmhouses (minka). Since 2000 he has also been involved in a number of Kyo-machiya, kura, and teahouse reconstruction and renovation projects both in Japan and abroad. He has exhibited samples of his carpentry and woodworking pieces regularly in Kyoto, and his work has been featured in numerous magazines (including Bungei Shunju, Kateigaho, Jutaku Kenchiku, Bessatsu Taiyo, Tezukuri Mokko Jiten) and books (including Japan Country Living and The Japanese House, both published by Tuttle Press). Saya Kiba is Assistant Professor at Faculty of Policy Studies, Doshisha University, Kyoto. She studied in Kobe University (Ph.D. in Political Science 2010) and the Third World Studies Center, University of the Philippines. Her major fields of interest are Southeast Asian studies, civil-military relations, international cooperation policies, disaster relief cooperation in Asia-Pacific, and defense diplomacy. 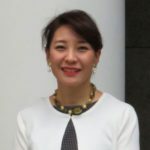 She has worked in the Embassy of Japan in the Philippines, the House of Representatives of Japan, Embassy of Japan in Thailand, and a Japan-based international NGO for conflict prevention. Her recent works includes “Regional Cooperation on Civil-Military Coordination in Disaster Response: Crisis or Opportunity?” (Jennifer Santiago Oreta ed., Security Sector Reform: Modern Defense Force Philippine, Ateneo de Manila University Department of Political Science. 2014) and “Civil-Military Cooperation in Japan’s Peace Support Operations: JSDF in search of NGO partners in South Sudan”, Japanese Studies Journal Vol. 31, No.2, Institute of Asian Studies, Thammasat University, 2014. She also contributes columns and reviews to newspapers, journals and magazines on current events in Asia-Pacific region. Nanyan Guo is an expert of Japanese Studies, and cultural exchange between East and West since the 16th century. She taught at the University of Otago (New Zealand) for fifteen years, and conducted research at the International Research Center for Japanese Studies (Kyoto, Japan) for nine years. Her recent publications include three monographs, Refining Nature in Modern Japanese Literature: The Life and Art of Shiga Naoya, (Lexington Books, 2014), Interpreting “World Literature” through Shiga Naoya (Sakuhinsha, 2016, in Japanese), Following Xavier’s Dreams: Modern Missionary Writings in Japanese (Heibonsha, 2018, in Japanese), and three edited volumes, Japan’s Wartime Medical Atrocities: Comparative Inquiries in Science, History and Ethics (Routledge, 2010), Bilingual Japanese Literature (Sangensha, 2013, in Japanese), and Japanese Literature by Missionaries: the Origin of Multi-Lingual, Multi-Cultural Communication (Akashi shoten, 2017, in Japanese). Diego Pellecchia is an Associate Professor at Kyoto Sangyo University’s the Faculty of Cultural Studies where he teaches courses on traditional Japanese performing arts. He obtained a PhD at Royal Holloway, University of London, in the Department of Drama and Theatre Studies. His area of expertise is noh theatre, which he also practices and performs 2006. His research interests include amateur studies, reception studies, and digital humanities. He has published various articles on the reception of noh theatre in the west and on noh training. Kyoko Utsumi Mimura teaches Japanese art history and aesthetics at Waseda University. 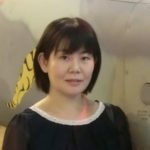 She was long-time International Programs Director of the Japan Folk Crafts Museum, and specializes in Japanese traditional popular crafts and arts (mingei). Mimura is also Producer and Director of Friendship Bridge: Classical Music and Arts Society, a non-profit organization that produces productions with Japanese traditional performing arts, opera and classical music, and also organizes lectures and exhibitions on Japanese craft and traditions. Her latest publication is the English translation of The Philosophy of Design: Essays by Sori Yanagi (Yanagi Design Office, 2015). 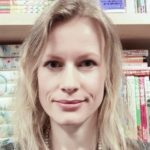 Jessica Bauwens-Sugimoto is Associate Professor at Ryukoku University’s Faculty of International Studies (Arts & Media course). After earning two M.A.s from the Catholic University of Leuven (Japanese Studies, Social and Cultural Anthropology), she came to Japan in 1997 with a MEXT scholarship, earned another M.A. at Osaka University (Sociology), and in 2007 her PhD (also Osaka University). Her research is in the nexus of Cultural Studies, Gender Studies, Film Studies and Manga/Comics Studies (with emphasis on sequential art made by and for girls and women) and related fields (animation, fashion). 20 years. She earned her PhD in Japanese Studies from SOAS, University of London. Her doctoral dissertation “Performing Gender in Edo-period Kabuki” explores, in detail, the processes of construing ideals of femininity and masculinity on the stage, and the fluidity of the concept of gender in premodern theatre and society that continues to influence contemporary Japanese pop culture. 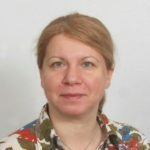 She has been in receipt of grants from Japan Foundation and Japan Society for the Promotion of Sciences, and has undertaken research at the International Research Center for Japanese Studies (Kyoto, Japan) for four years. Her investigative interests are performing arts in Asia, focusing on Japan, and gender studies – cultural re/presentation of gender and construction of idea(l)s of femininity and masculinity in performative space. Galia’s two more recent projects focus on regional performing arts in Japan and the female versions of all-male traditional performing arts and kabuki masculine heroes in Japanese culture. Publications: Nihongo de shakai to tsunagaroo [Let’s get connected with the community in Japanese! ]: Coco Publishing; Chapters in Shakai sanka o mezasu nihongo kyoiku [Japanese language education toward participating in society]. Tokyo: Hituzi Shobo and Asesument to nihongo kyoiku [Assessment and Japanese language education]. Tokyo: Kuroshio; Articles in Japanese Language and Literature, vol. 42 and Japanese-Language Education around the Globe vol. 19. Q:Why did you start teaching Japanese? A:At first, because I wanted to live in Australia (I was told that becoming a Japanese teacher would be a good way to do so because there was a shortage of Japanese teachers). I became less interested in living in Australia, but I pursued the career in teaching Japanese because I enjoy teaching and hope to contribute to enriching the students’ life even just a little bit. Q:What are the most memorable experiences in your career? A:One student translated lyrics of Japanese visual rock bands into English as a class project and posted it on her blog. Even after she completed the course, she maintained the blog and in the post on the first anniversary, she thanked me for giving an opportunity to translate songs in my class. I was happy that I could help her start doing something that she enjoys. Q:What would you be if you were not teaching Japanese? A:I wanted to be a mangaka (cartoon artist). I actually tried to no avail. Q:A word to the students? A:Living in another country is a great experience. If you can have that experience in Kyoto with us, that’s the best! Publication: Shauman’s Outline of Japanese Vocabulary, McGraw-Hill (co-author). I have been teaching Japanese for 20 years, and I still enjoy what I do. It is because I like language, teaching, and the “I-have-got-it” faces of students. Other things I like are reading and walking. Yoroshiku. You can study Japanese in the States. So, why study abroad? The answer is to learn from the host country and its people. Kyoto offers a lot to learn from – food culture, traditional culture, traditional arts, nature, etc. Also, you can find wide-ranging grassroots activist groups and interest groups. The city is fairly small, so it’s easy to get connected. For example, I am a part of sake-tasting group and sericulture study group. I practice yoga and shoulder drum of the Noh theatre. If you are interested, please join me! I cannot stress enough how important it is to ask yourself what kind of activities you want to be involved in and what kind of people you want to meet before coming to Kyoto. Also, please come for two semesters if possible. One semester goes really fast. Your Japanese communication skills will improve tremendously in two semesters. I look forward to studying with you in Kyoto! Take a slight turn into a back alley, and you’ll find traditional Kyoto houses, temples and shrines with histories of 1,000 years or more. Enter the main streets and you’ll find a treasure trove of cutting-edge pop culture. Then, find yourself in amidst a riot of green along a hiking trail within minutes of swaying back and forth on a city bus. For studying Japanese, one could rightly say that there is no more fertile soil than that of Kyoto in which the modern and the ancient, the metropolitan and the nature have been distilled. With the multiplying effect of students brimming with motivation gathered from all over America and an army of instructors, when you complete your study abroad at the KCJS Program born of this fertile soil, you will be fluent in Japanese, and have grown one or two-fold as a person. I eagerly await those of you who want to challenge themselves and their Japanese in Kyoto! Try to go outside of the classroom and have many cultural and social experiences. There is no foreign language study without having experiences in the culture and society. 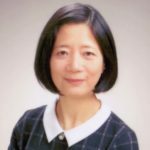 Fusako Shore is the KCJS assistant director, handling office management, student services, academic reporting, scheduling, planning of enrichment programs, faculty relations, alumni affairs, and cooperative arrangements with Kyoto-area universities and organizations. She is a native of Kyoto and has been at KCJS since the first class in 1989-90. Tazuko Wada is the KCJS housing coordinator, overseeing all aspects of the housing programs, including homestays and apartments for students and visiting faculty. She also serves as administrative assistant, overseeing facilities, equipment, and inventory. She has been with the KCJS since 1993. Keiko Toda is the KCJS program assistant, planning and managing extracurricular activities, maintaining KCJS website and facebook. She joined KCJS in 2015. Yoshiko Hollstein is the KCJS Financial Officer and oversees all financial matters. She manages the payment of bills, the movement of funds, and regular financial reporting. Michiko Nakanishi is the KCJS librarian. She is in charge of the development and maintenance of the collection of books and journals about Japan. She orders textbooks and prepares reading packets and assists students with reference questions about resources for their research projects. She joined KCJS in summer 2008.